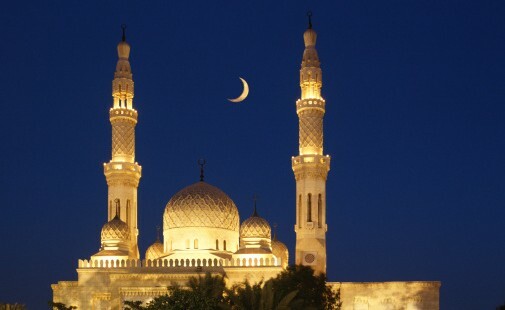 The following two linked articles offer glimpses into the relationship between Islamic scholarship and the determination of the precise times of both the beginning of Ramadan and the appearance of the Shawwal crescent moon marking the first day of Eid Al Fitr at the end of the month of Ramadan. What I find fascinating given my interest in ancient Jewish astronomy are the similar debates among religious scholars in both Islam and Judaism regarding the use of observation vs. astronomical calculation to determine the times of the holy days. In Judaism, a functioning fixed calendar eventually came to exist by the early medieval period after centuries of debate, calendrical authority struggles, and the evolution of calendrical rules. Prior to these developments in Late Antiquity, the Jewish calendar was based on observations of the first lunar crescent, called the molad. Prior to Late Antiquity, during the Second Temple period and the Persian period, other time-reckoning systems were in use, some solar and some lunar. In Islam, my understanding (perhaps colleagues in Islamic studies can clarify this further) is that various opinions and practices exist, with some countries relying on the traditional hilal sightings of the new crescent moon (for example, to establish the beginning of Ramadan) with the naked eye, some Muslims relying upon the visual sighting of the lunar crescent in either Saudi Arabia or their own country, and others using astronomical calculations. A blessed Eid to all who celebrate it!